Okay so to an English speaker looking at a menu here in China and seeing that very Chinglish-y menu translation, they might want to turn and run. 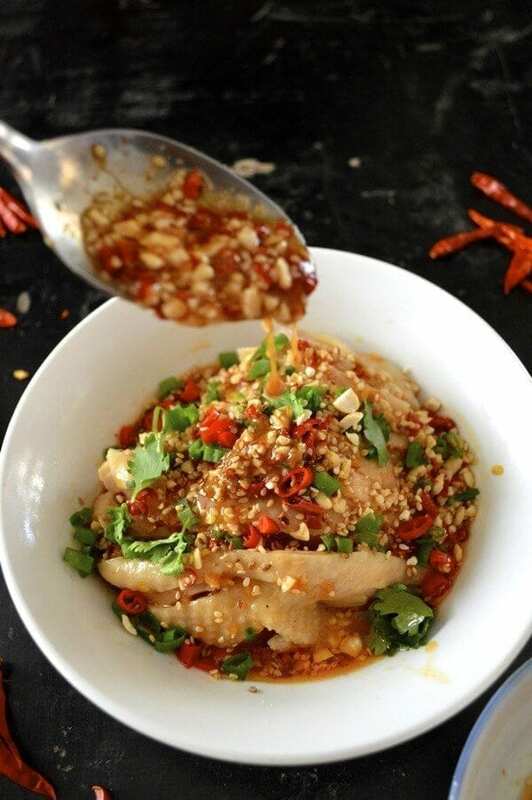 After all, this is a cuisine in which bird spit (read: bird’s nest soup) is a much sought-after ingredient. But not to worry. 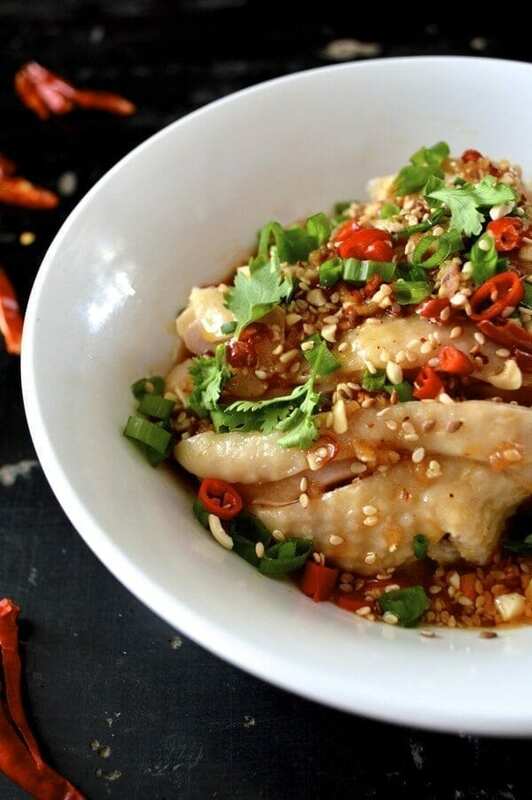 The dish’s name can be better translated as “mouthwatering” chicken. 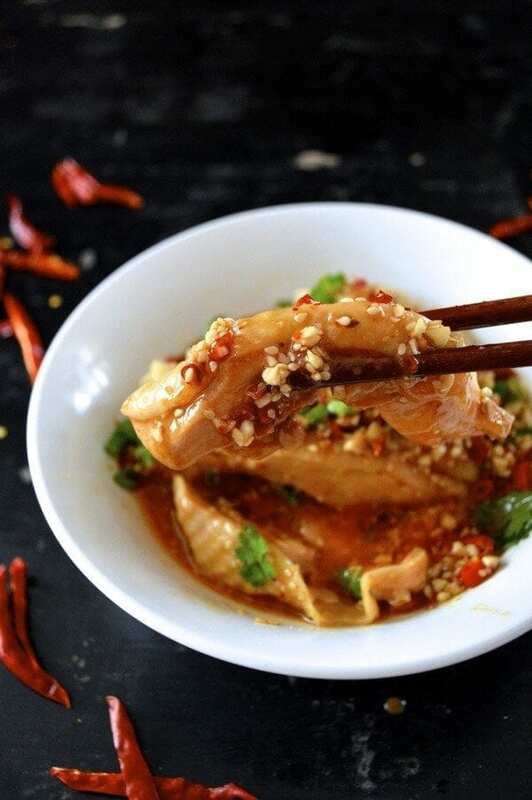 I read somewhere that some famous person took one look at this dish and hungrily made the claim, “it’s making me drool,” and that’s how this kou shui ji – saliva chicken dish got its new name and fame. 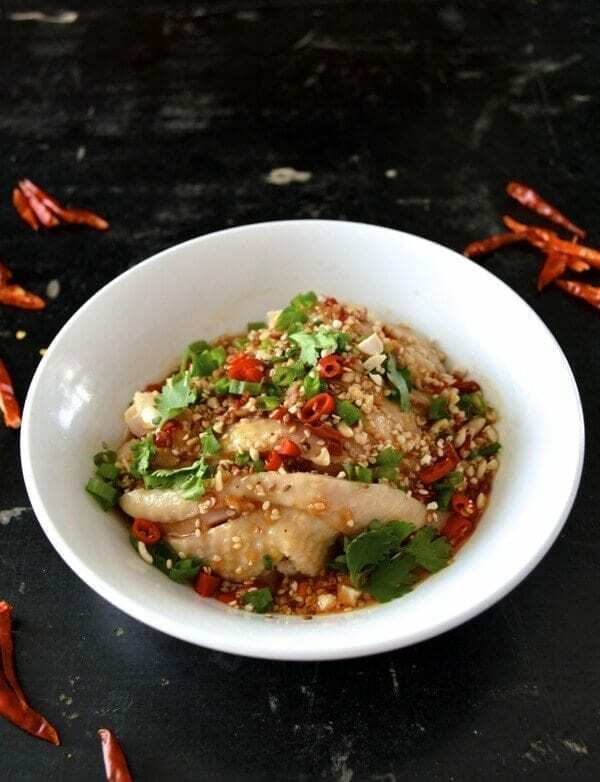 Funny how we name our food, Use some fine Shaoxing wine as the main flavoring ingredient and you have Drunken Chicken. It’s quite delicious by the way! 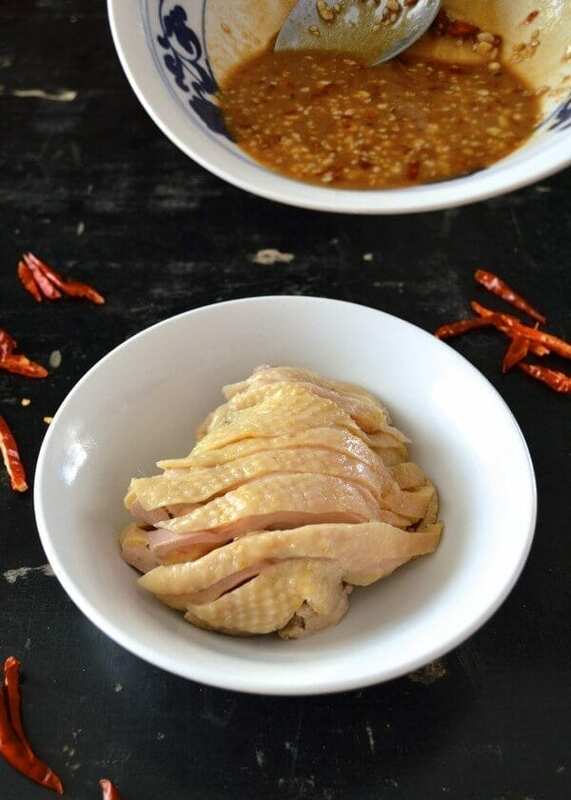 I’ve eaten many versions of kou shui ji, and most of time the chicken is swimming in a hot & spicy tongue-numbing oil, requiring an experienced Sichuan-food-lover to go near it (it’s delicious, by the way). 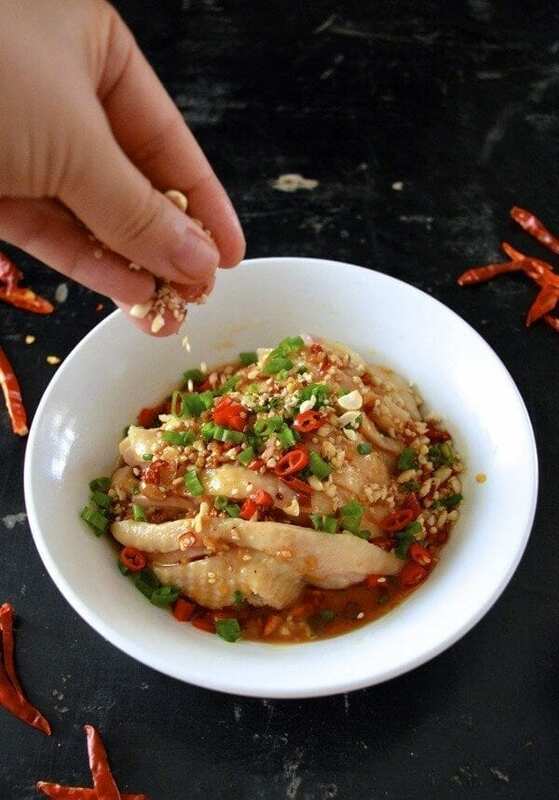 But that said, we made our version of drool-worthy chicken less spicy while still being loaded with all the essential flavors of the original version. 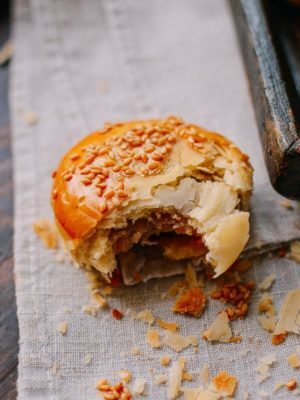 Ours also uses sesame paste, which isn’t always a mandatory ingredient, but really adds richness. 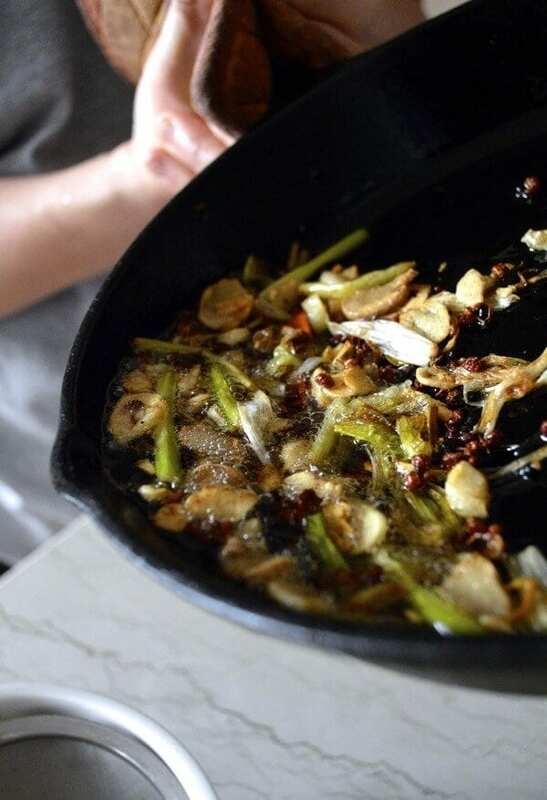 Heat your oil in a skillet or pan over low heat, and add the scallions, ginger, garlic, star anise, cinnamon stick, and Sichuan peppercorns. Allow these aromatics to slowly infuse into the oil, until everything is kind of browned and wrinkly and fragrant. Discard the spices and pour the hot infused oil into the peanut mixture. Give everything a stir and cover the bowl with a plate to seal everything inside. Walk away and don’t come back until everything else is ready! Bring the water to a boil again, and after a minute, cover the pot and immediately turn off the heat. Let it sit on the stove for 20 minutes to slowly poach the chicken. In the meantime, prepare a small ice bath for chicken. After 20 minutes, take the chicken out of the pot and plunge it in the ice bath and let the chicken cool completely. Slice the chicken and place it on your serving plate. Mix all of the Step 3 ingredients in a bowl. Now combine the mixture you just made with the peanut mixture you made in Step 1. Pour as much as you want over the chicken. 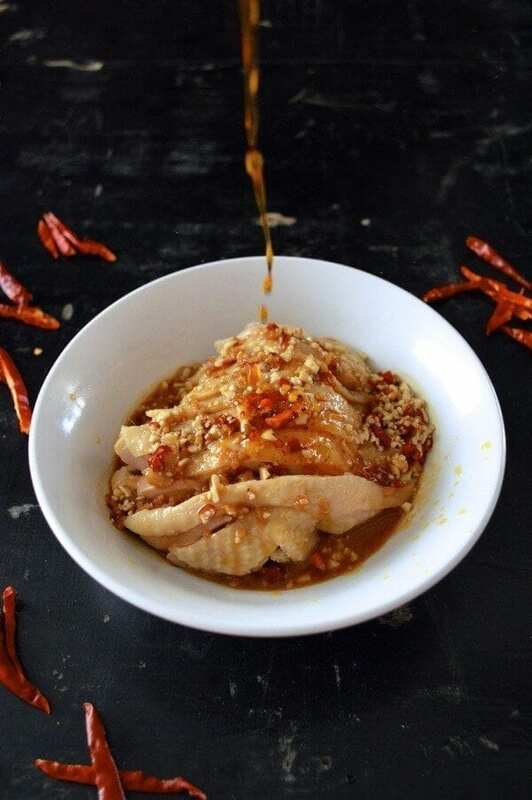 This chicken is cooked in the same way as traditional Cantonese Poached Chicken – bai qie ji. We put about 2/3 of the mixture over the chicken and used the rest for a cold noodle lunch the next day (a highly recommended action!). We also added an extra stream of hot chili oil because we like the heat. 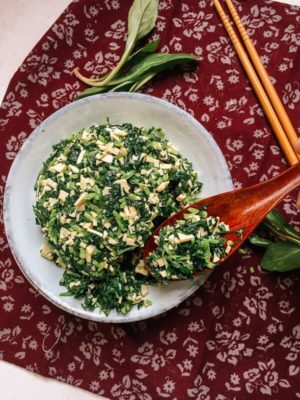 You can also sprinkle your kou shui ji dish with some extra chopped cilantro, scallion, peanuts, and toasted sesame seeds! 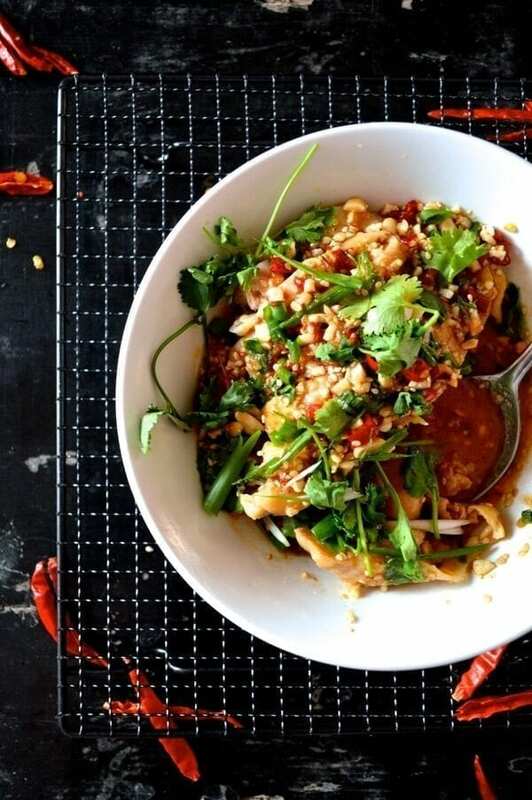 (We also added chopped fresh red chilies, because like I said…we LOVE spicy food). …And a little extra sauce never hurt anyone. 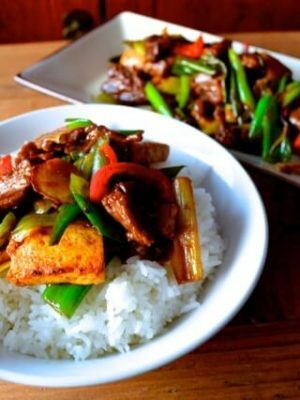 If you want to enjoy this as the Chinese do, serve it cold as an appetizer before the meal! 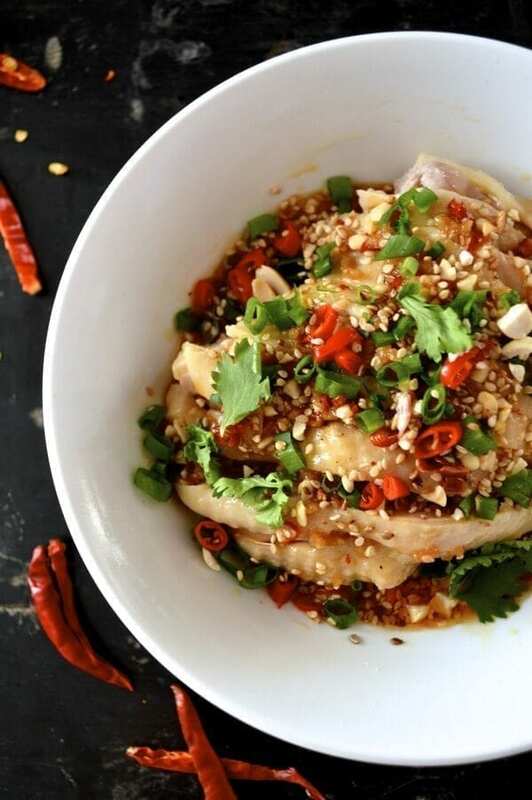 This chicken kou shui ji dish is a little bit adventurous for first-timers, but one of our favorite things to order when we go out to eat at a Sichuan restaurant. 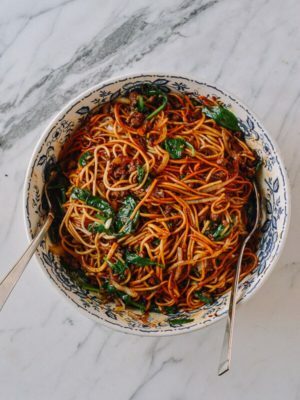 And it’s usually good for next-day noodles with all that leftover sauce! We weren't being witty or anything with the Drool-worthy chicken dish name. 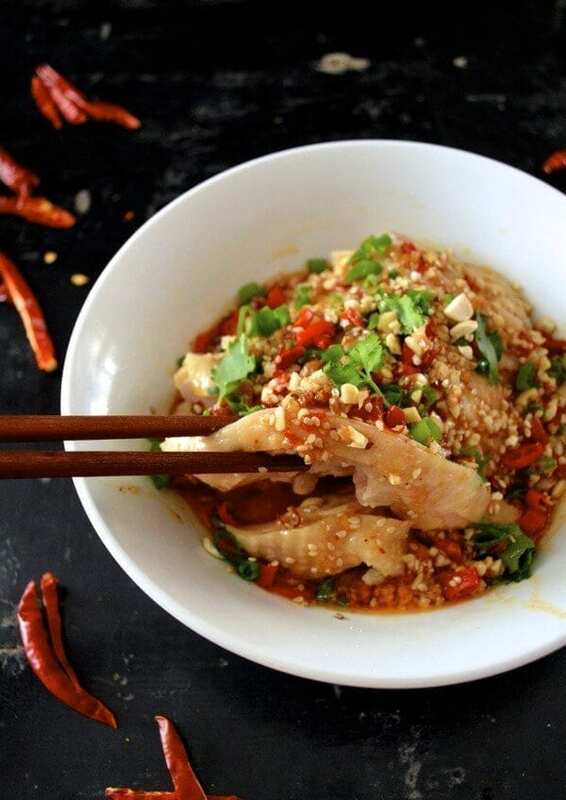 In fact, the Chinese name of this chicken dish is "kou shui ji," which literally translates to "saliva chicken." 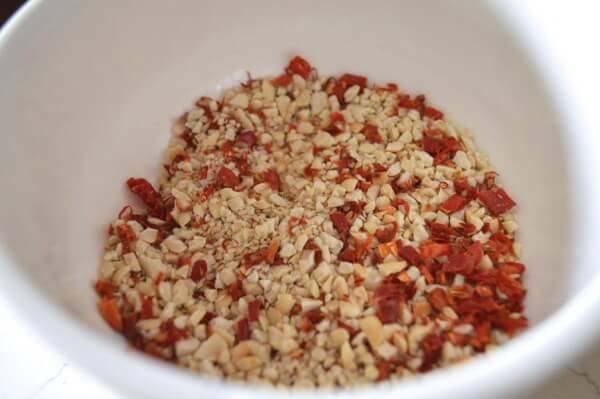 Put chopped peanuts, roasted sesame seeds, red pepper flakes and salt into a medium bowl and set it aside. 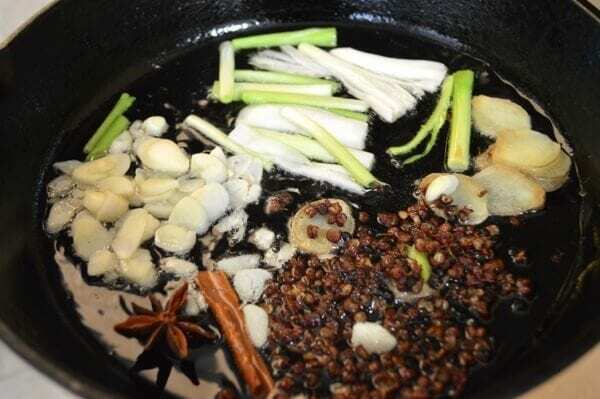 Heat your oil in pan over low heat, and add the scallions, ginger, garlic, star anise, cinnamon stick, and Sichuan peppercorns. Allow these aromatics to slowly infuse into the oil, until everything is kind of browned and wrinkly and fragrant. Discard the spices and pour the hot infused oil into the peanut mixture. Give everything a stir and cover the bowl with a plate to seal everything inside. Walk away and don't come back until everything else is ready! Bring a medium pot of water to a boil (there should be enough water to submerge the chicken) along with the ginger and scallion. Once it's boiling, add the chicken (once it's added the water will probably stop boiling because of the temperature change). Mix all of the Step 3 ingredients in a bowl. Now combine the mixture you just made with the peanut mixture you made in Step 1. Pour as much as you want over the chicken. 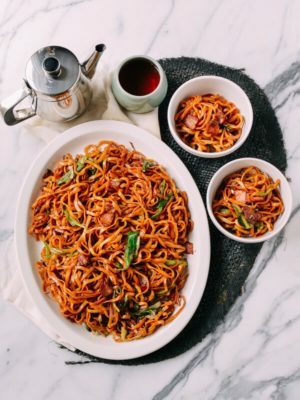 We put about ⅔ of the mixture over the chicken and used the rest for a cold noodle lunch the next day (a highly recommended action!). 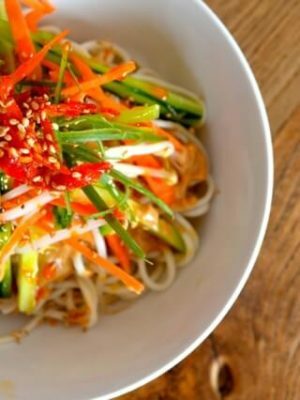 For this recipe is it better to use Chinese sesame paste or tahini? Thanks! 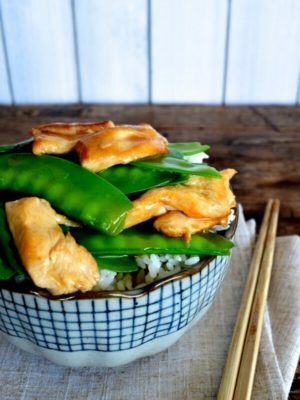 I’m making this tonight. It looks mouth-watering:). Good luck, Kim! Try not to overcook the chicken and that’s the key. It was delicious! And so was the sticky rice from your site-fantastic!!! Thank you for your lovely comment, Kim! 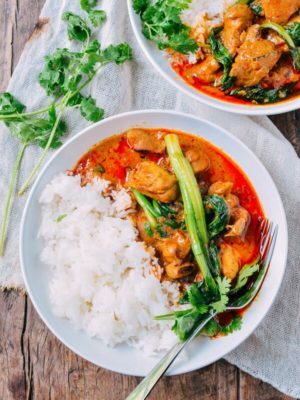 Again, you guys are killing me, these recipes look so good. 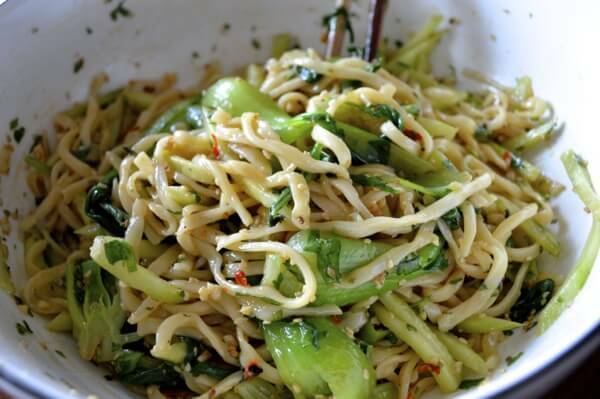 This reminds me of a dish I got in Chengdu called Jiao ma ji. 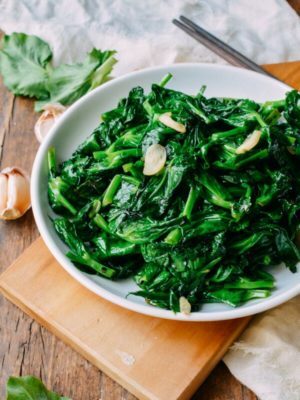 Do you know what it is and if so do you have a recipe? Also, next time youre in Chengdu, go the the Shangri-la hotel, have the driver drop you off on the river side of the street. Go up the steps and go on the right side of the restaurant that is the bridge over the river, when you get to the other side, go down the right side of the stairs, look straight ahead, immediately on your right view, you will see a restaurant that borders the street, on the left of that restaurant is an alley, there is a wrought iron fence/gate, sometimes it is open and sometimes it was closed but in 2010 the gate/fence didnt exist, it was but in later because floods of people would use the alley to access the restaurant immediately behind the previously mentioned restaurant which was of lesser quality in my humble opinion (but still ok). 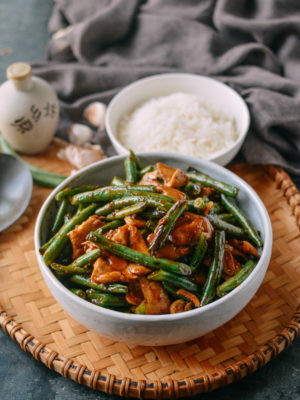 Anyway if you have an opportunity to go there, order gan bian si ji do (sorry if my pin yin is off, (that is dried fried green beans for those who do no know, it is purely delicious), I believe it is the best you’ll ever find in Sichuan (at least as of 2015). So after all this babble, do you have a good recipe for this dish? Hi Richard, thank you for the detailed guide to the hidden restaurant. 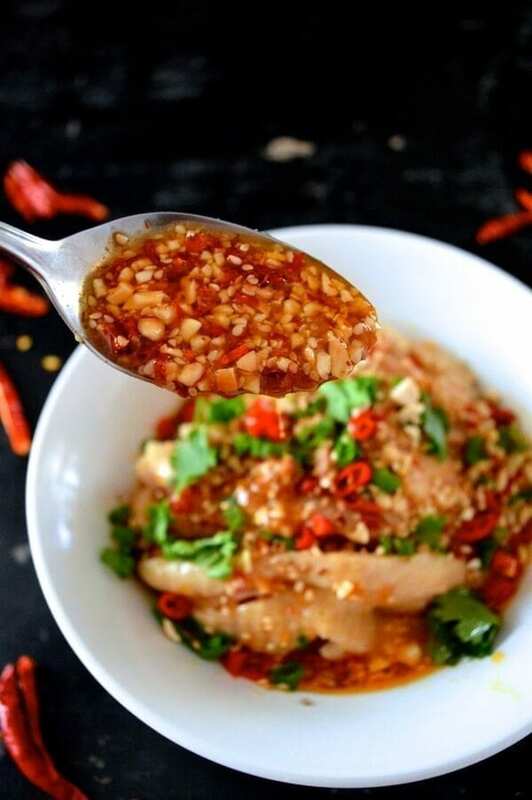 We do have a Gan Bian Si Ji Dou recipe, but it may not be as good as the one in your story. Let me know after you try it. Hi Bill H, Thanks for your flattering comment – keep up your great cooking! Just today I discovered your blog and I think it is awesome! I am a German living with my husband in a tiny fishing village at the Croatian coast. 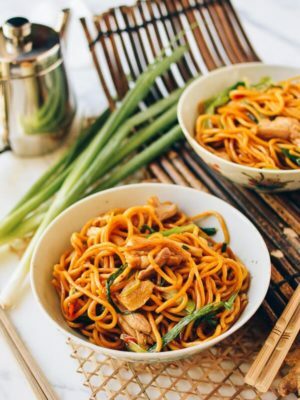 Since we both love Asian cuisine we sometimes miss the Chinese, Japanese and Thai restaurants of our home town Munich, but on the other hands we are passionate hobby chef and will never stop collecting recipes and learning something new. Do you send our your latest blogs as a regular newsletter? I’d be keen to get it! Kind regards from sunny Croatia! Hi Sonja, you can subscribe to our email list by filling out the form in the sidebar––you’ll get an email notifying you of when we publish a new post! 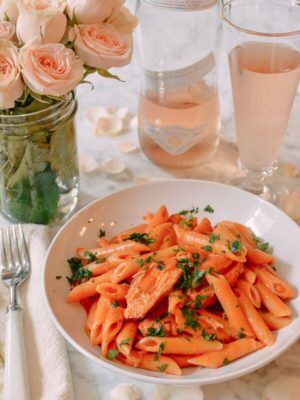 Really love this site, especially your recipes. 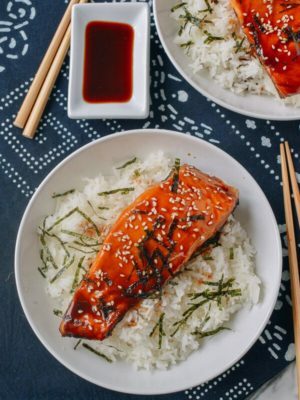 Looking to try out this recipe but not sure what sesame paste is – would you say something like tahini might work? I’m based in London so it might be called something else here. Hope I can find it. 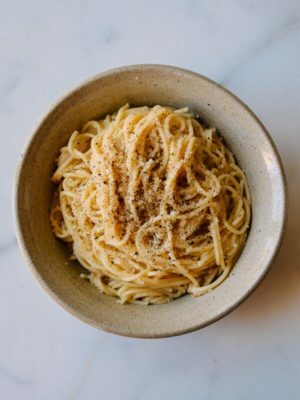 Hi Jane, Tahini works fine for this recipe – hope you enjoy this one as much as we do. Thanks for your comment, and happy cooking! Hi Amy, next time, try cooking the chicken according to the full recipe! It’s beyond amazing. 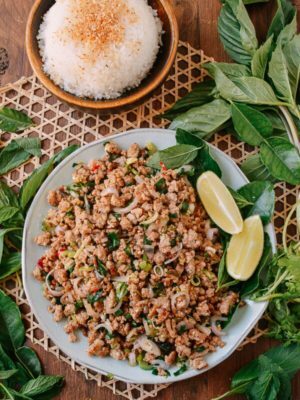 Holy wow, this is an amazing recipe. I’ve made a few sauces that are similar (notably one used on some dumplings and another that went on an asparagus and tofu salad) but this one’s different (mostly the tahini, I think). And it knocks this dish out of the park. Plus the chicken is a sleeper-hit. I wasn’t expecting it to have that silky texture and for it to be so moist. I’ve been pointing folks to this blog ever since I found it a few weeks ago and this is another solid reason to keep doing so. Hi Jim, thank you so much for your kind words and your warm support. Hope you will try out more recipes.